Controversial at the time of launch, FOX’s critically panned “Dads” failed to parlay buzz over its maligned depiction of Asians into sizable premiere viewership. Since launching, media attention has completely vanished, and ratings have fallen. But insofar as they appear to have stabilized in a light, but not egregiously bad for today’s television climate, comfort zone, FOX was confident enough to purchase the show’s back nine. That news, confirmed Friday, means the multi-camera sitcom from creator Seth MacFarlane will be around for the full season. 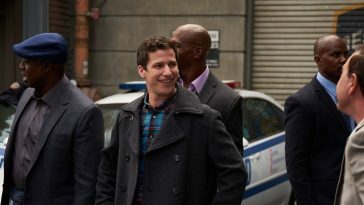 Freshman comedy “Brooklyn Nine Nine,” which leads out of “Dads,” scored a full season and a plum gig after “New Girl” on Super Bowl Sunday earlier this month. “Glee” Returns to FOX’s Tuesday Lineup, Dads” Disappearing?